Light Mix is a high quality potting soil which has been moderately fertilized by Mills. Light Mix consists of perlite and sphagnum. Mills selects these mosses carefully and works with peat cuttings all over Europe. The turf that makes it through their test is shipped to Holland and, using a strict set of guidelines, are broken into small pieces and filtered. The fractions that remain is used to mix and make the line of Mills potting soils. 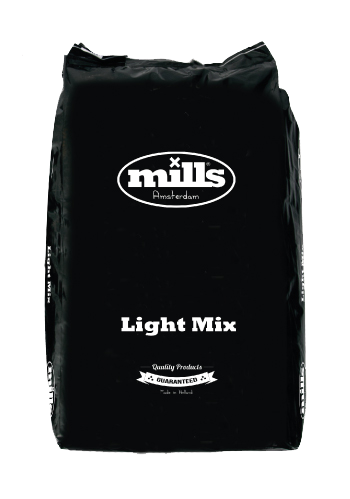 Light Mix is available in a 50 litre package.